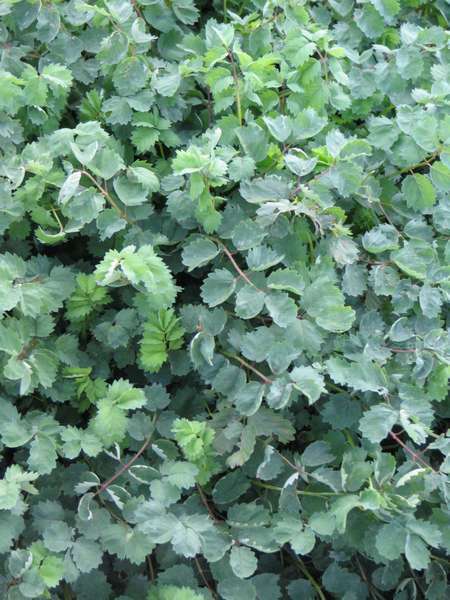 Erect clump forming perennial, bright green pinnate leaves divided into toothed leaflets. Tiny green flowers with maroon stamens. Partial shade / full sun. Leaves taste and smell like cucumber. Add young leaves to salads, sandwiches, spreads, herb butters and soft cheese. Garnish/flavor vinegar and fruit drinks. Use in mild soups like mushroom and chicken. Add to sauces for fish and salad dressings. Chop and sprinkle over freshly steamed vegetables. Blends well with rosemary and tarragon. Herb tea with a cucumber fragrance.